Four finalists were announced today by Provost Garnett Stokes and Deputy Provost Ken Deanon. Each candidate will visit the campus for interviews and participate in an open forum . 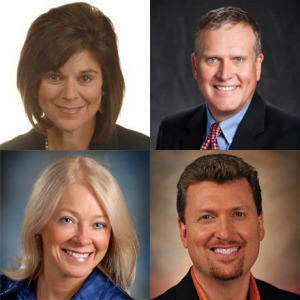 The finalists include Sonya Forte Duhe, a director and professor at the School of Mass Communications at Loyola University; David D. Kurpius, a professor and vice chancellor at Louisiana State University; Esther Thorson, a professor and associate dean for graduate study at MU's Reynolds Journalism Institute; and Thor Wasbotten, a director and professor of journalism at Kent State University. Duhe is scheduled to visit MU first on February 11-14, followed by Kurpius from February 15-18, Thorson February 22-24, and Wasbotten on February 25-28.